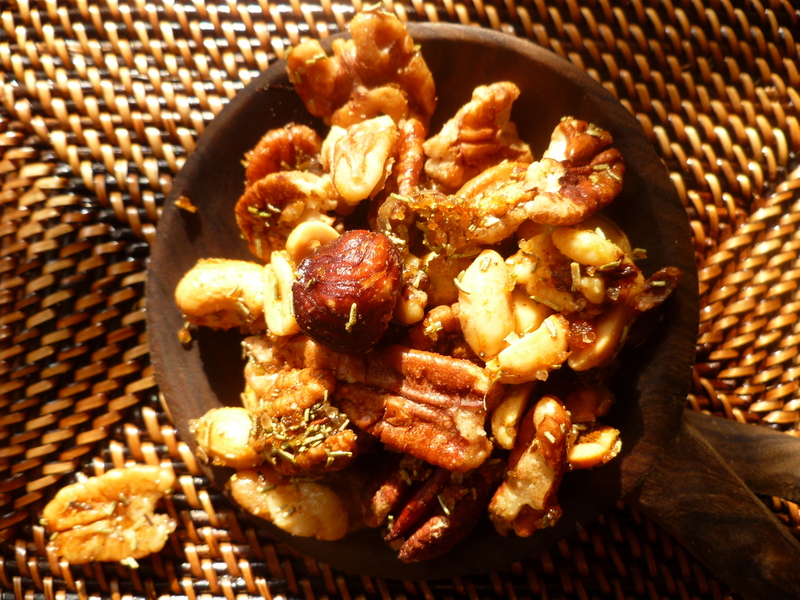 Spiced nuts come in many variations. This version from New York’s Union Square Cafe is one of them–and a very good one it is, too. To serve them warm with aperitifs is a simple matter of putting them in the oven to reheat for a few minutes. 1 and 1/4 pounds of a mixture of nuts: peanuts, cashews, hazelnuts, walnuts, pecans, and almonds are all possibilities: The Union Square Cafe recommends using unsalted ones. The diplomatickitchen has used both salted and not–both are good. 1. Preheat the oven to 350 F.
2. 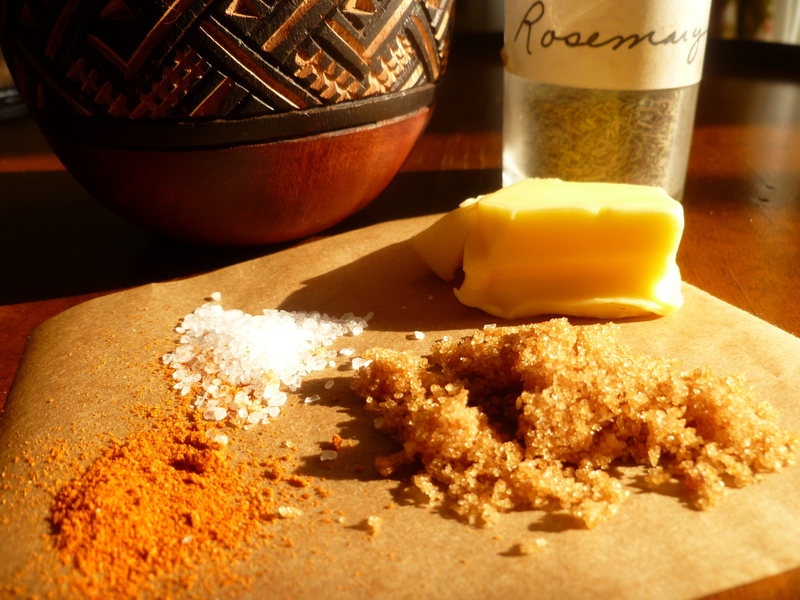 In a bowl, mix the melted Butter with the Rosemary, Cayenne, Sugar and Salt and set the bowl aside. 5. 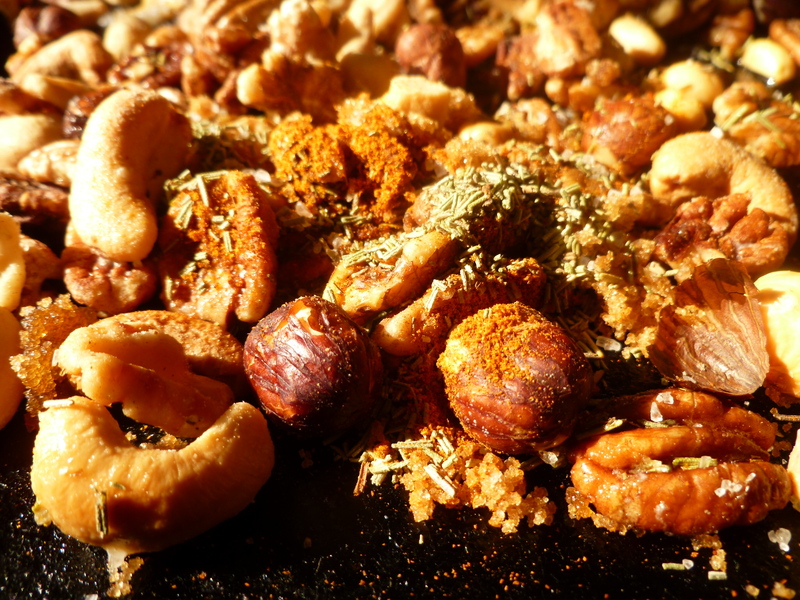 If the nuts are made in advance, toss the nuts with the mixture, leave them aside on the baking tray until just before serving, and reheat them for a minute or two. 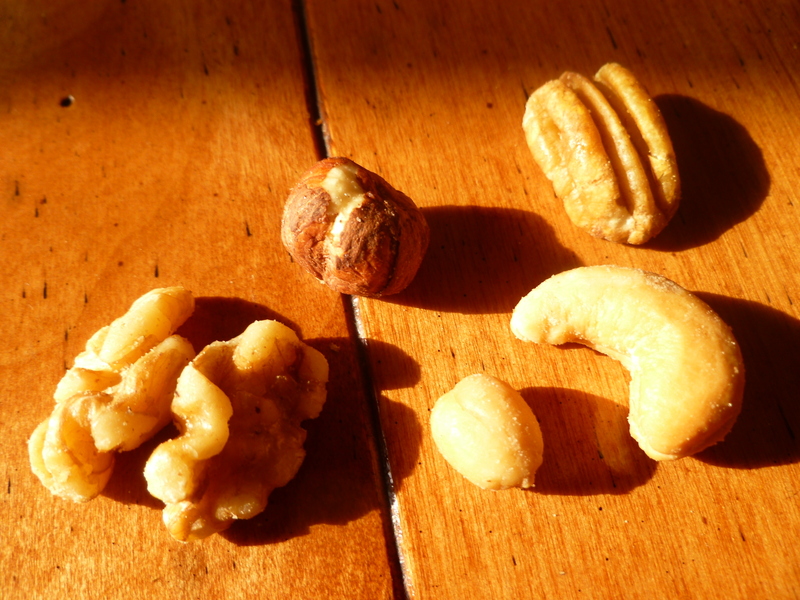 If they are made a day or two in advance, store the nuts in a jar and return them to a tray to reheat. 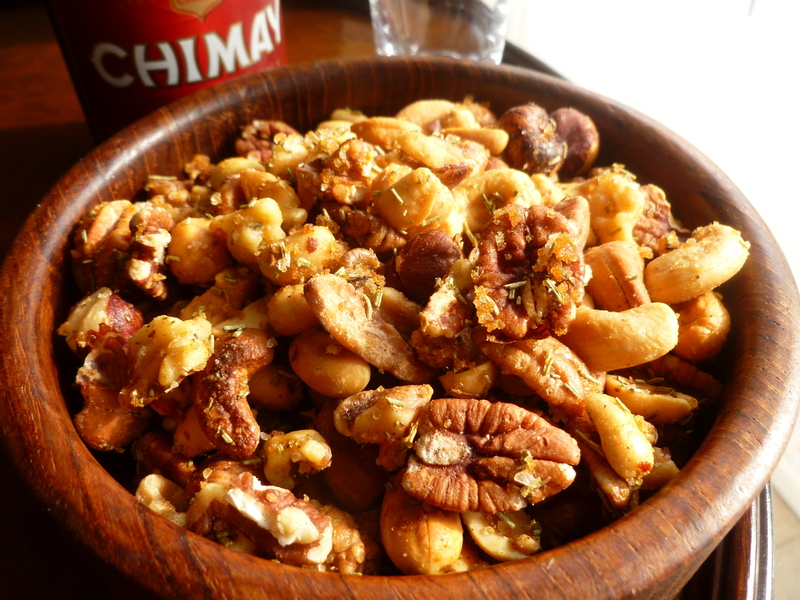 A Note: Warm Bar Nuts ~ Union Square Cafe are served with aperitifs in the Lunch Menu: Lunch on a Winter’s Day. The recipe is an adaptation from one that originally appeared in Gourmet magazine in October 1994. 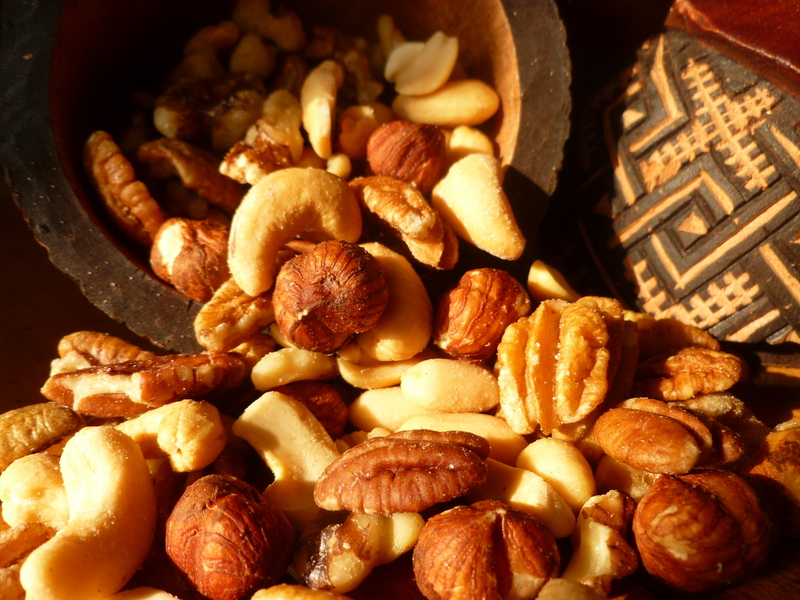 A Second Note: A Mason jar of these nuts–maybe wrapped in tissue paper and tied with raffia–is a nice gift with the usual bottle of wine, to bring to someone else’s ‘moveable feast’.